The team at Perpetual Wellbeing offer both food allergy tests and food intolerance testing. There are many reasons as to why one may be reacting to a food, food group or environmental agent. The most appropriate test for you is determined by what your reaction is, how quickly you react after you have consumed or come in contact with the ingredient, as well as what your general health is like. Adverse reactions to foods can cause both mild and severe health problems in a subset of the population. Immediate food allergies are known to affect 4% of the general population, whereas general adverse reactions to food may affect a much higher proportion (>20%) . The symptoms caused by the food reactions can be as mild as bloating but as severe as anaphylaxis. Conditions which may be caused or exacerbated by adverse food reactions include asthma, arthritis, irritable bowel syndrome (IBS), migraine, otitis media and skin rashes. A wide variety of more nonspecific symptoms can be attributed to food sensitivities such as fatigue, headaches, difficulty losing weight, food addictions and trouble concentrating. Adverse food reactions include any abnormal reaction resulting from the ingestion of a food. They can be categorized as food allergies (with an immune response) or food sensitivities/intolerance. The existence and classification of food sensitivities have been controversial. These types of reactions are difficult to diagnose because the time between consumption and response may be delayed (up to 2 days) and the symptoms are often subtle. In many cases ingestion of the offending food paradoxically masks the symptoms temporarily. Further-more, multiple causes contribute to food sensitivities, making this area difficult to study. There are several types of immunoglublins that are made in the body. It is important to understand the differences between IgE, IgA and IgG immunoglobulins and when to test for each of them. Immunoglobulins are a class of proteins which function as antibodies produced by the immune system in response to foreign bodies such as food antigens. Common symptoms of food intolerances can be found here. IgG – An IgG reaction can occur hours to days after exposure to the allergen; food or inhalant. This type of reaction is referred to as a delayed sensitivity reaction. More information about IgG food intolerances can be found here. IgA – Elevated IgA to specific foods is widely believed to be a sign of damage to the mucous membranes in the gut. Individuals with Crohn’s disease or ulcerative colitis, or even those with suspected leaky gut may benefit from testing IgA food reactions. More information about IgA food intolerances can be found here. IgE – An IgE reaction occurs about the time immediately after exposure to the allergen; food or inhalant. This type of reaction is referred to as a Type I immediate hypersensitivity reaction or in some cases anaphylaxis. More information about IgE food allergies can be found here. All of the above tests have panels which include – General foods, vegetarian foods, asian foods, grasses, inhalants, food chemicals and additives, environmental chemicals, moulds etc. ALCAT ® test – The ALCAT® diagnostic system detects changes in the size and number of white blood cells (i.e. immune cells) in response to exposure to the offending foods and chemicals. A significant advantage of this system is that it uses whole and live blood, which contains all of the immune factors, cells and serum proteins that might be involved in an adverse reaction to a food or chemical. The ALCAT test has many different panels. Click here for more details. More information on allergy and food intolerance testing at Brisbane and Graceville clinics: Please note that in the initial consultation with us we will go through a full health assessment with you and we analyse your symptoms, this may lead to an immediately usable treatment. If we do recommend you get some further testing done, prices will be discussed during your Naturopathy and Nutrition consultation. Alternatively, you are welcome to send us an email price enquiry if you know exactly which test you are interested in. Otherwise it would be best to book an appointment with us so that we can establish if testing is necessary, and if so, which would be the most appropriate for you. 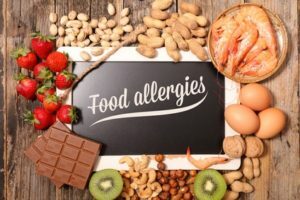 Food intolerance testing and food allergy testing is offered at both the Brisbane CBD and Graceville Naturopathy and Nutritional Medicine clinics. If you would like to get any testing done, please take a read of our test pricing guide and book an appointment online. We are Degree Qualified Naturopaths and Clinical Nutritionists. Our mission is to be a professional provider of health improvement and well being programs that are effective, practical and supported by the best available scientific evidence.